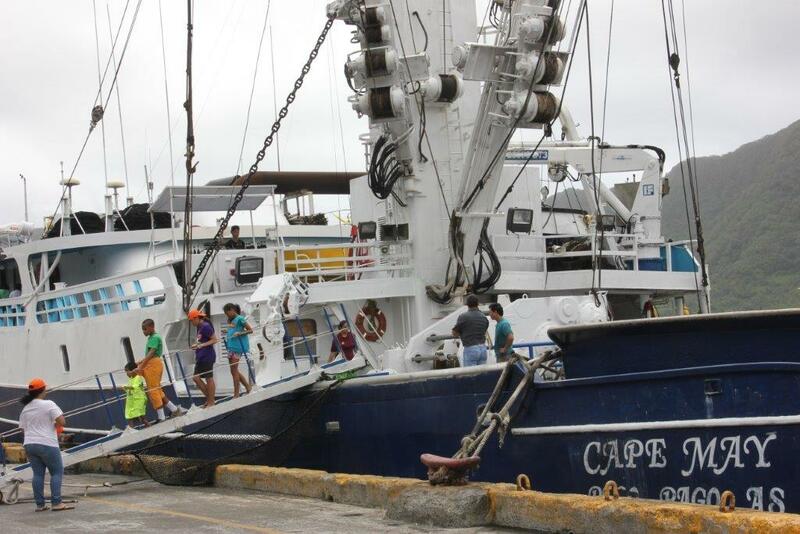 UTULEI, AMERICAN SAMOA (20 October 2015) The National Marine Fisheries Service (NMFS) will not undertake an emergency rulemaking to exempt U.S. purse seine vessels that deliver at least half of their catch to tuna processing facilities in American Samoa from the closure of the area known as the Effort Limit Area for Purse Seine (ELAPS). Michael Tosatto, Regional Administrator of the NMFS Pacific Islands Regional Office, made the announcement to the Fishing Industry Advisory Committee (FIAC), during its meeting yesterday at the Rex Lee Auditorium in Utulei, American Samoa. The FIAC advises the Western Pacific Regional Fishery Management Council, which will convene at the Lee Auditorium on Wednesday and Thursday. Public view an American Samoa purse seiner during the Fishers Forum on American Samoa Fisheries, hosted on Oct. 17 by the Council and the American Samoa Department of Marine & Wildlife Resources at the Port Administration main dock at Fagatogo. “NMFS finds it is not appropriate to grant the petition as it was requested,” Tosatto said. The ELAPS closure may have economic impacts, he added, but whether these impacts warrant action would take more information and more time to analyze the information. NMFS closed the ELAPS on June 15. The ELAPS is comprised of all areas of high seas and U.S. exclusive economic zone (EEZ) between 20 degrees N and 20 degrees S in the Western and Central Pacific Fisheries Commission (WCPFC) Convention area. The closure remains in effect until Dec. 31, 2015. Tri-Marine Management Company had submitted the petition for the emergency rule to NMFS on May 12. 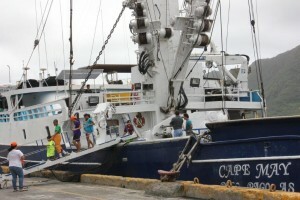 The company owns 10 purse seine vessels home ported in American Samoa as well as a tuna cannery in the U.S. territory. The Tri Marine petition argued that the ability of American Samoa-based tuna vessels to operate profitably is in serious question due to the loss of access to traditional fishing grounds among other reasons. The traditional grounds have been the EEZ of Kiribati. This year Kiribati provided U.S. vessels with only 300 fishing days for the entire U.S. purse seine fleet, after allowing 4,313 fishing days (60 percent of all US flag fishing days in the region) in 2014. The lack of fishing grounds causes a lack of reliable supply of tuna from these vessels, which will jeopardize the ability of the canneries in American Samoa to compete in world markets, according to Tri Marine. The petition invokes the WCPFC Convention, which supports full recognition to the special requirements of developing Small Island Developing State (SIDS) or participating territories, including American Samoa. Joe Hamby, Tri Marine Group’s chief operating officer, expressed disappointment of the decision “considering the dire straits the vessels are going through.” He said Tri Marine looks forward to working with NOAA on providing information and asked “What is the timeline?” He noted that the original petition was six months ago. Tosatto said it is hard to put a timeline on what it will take. “WCPFC has a lot of clauses and we are exploring those. … It will be several months.” He said a Federal Register notice on the decision will be published in the next few days. In regards to the potential impacts to America Samoa from reduced access for US purse seine vessels based in America Samoa, the FIAC recommended that the Council request that NMFS expedite its economic analysis on impacts to America Samoa of the US rules on purse seine effort limits. Continue to advocate for more effective international management of the South Pacific albacore longline fishery and notes that the economic conditions for longline fisheries across the region remain well below historic levels. 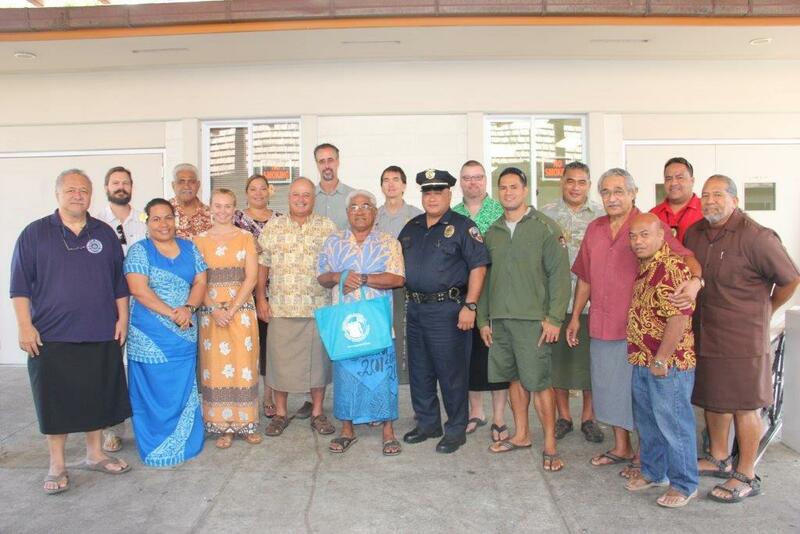 Initiate further discussions with America Samoa longline participants, America Samoa canneries and other interested parties on the costs and benefits of obtaining Marine Stewardship Certification. Request that the US government work to restore US bigeye tuna limits applicable to the Hawaii fishery and recognizes that it is highly monitored, fishes in an area of low impact to the bigeye stock and supplies a local domestic market. Request that NMFS work with the fishing industry on the development of the national traceability program and to limit impacts on US fishermen and US seafood products. Work with the local alia fleet and American Samoa government on training opportunities to improve seafood handling and quality, identification of export markets and reduced freight costs. Respond to the proposed rule on Marine Mammal Protection Act (MMPA) import provision by supporting the general intent of the provision, which is to level the playing field for U.S. fisheries by requiring similar marine mammal bycatch mitigation provisions for foreign fisheries exporting fish and fish products to U.S., and expressing concern that the process and requirements outlined in the proposed rule are extremely complex and burdensome and have the potential to divert resources necessary to implement MMPA provisions for domestic fisheries, may impact the U.S. seafood import industry and result in other unintended consequences to the domestic fishing and seafood industries. The American Samoa Regional Ecosystem Advisory Committee (REAC) and the American Samoa Advisory Panel, two other committees that advise the Council, also met yesterday at the Lee Auditorium. The REAC reviewed ongoing expansion of the Council archipelagic and pelagic fishery ecosystem annual reports to further incorporate ecosystem components and provided recommendations to Council staff regarding data availability. The REAC recommended that it should participate in reviewing the draft reports for completeness and accuracy. American Samoa Regional Ecosystem Advisory Committee met yesterday at the Lee Auditorium in Utulei, American Samoa, to discuss enhancements to the Fishery Ecosystem Plans for the Western Pacific Region among other topics. Support fisheries development in American Samoa as a SIDS in international commissions and organizations. Specify the 2016 US Territory longline bigeye tuna limits at 2,000 metric tons (mt) per Territory or higher based upon scientific assessment that it doesn’t impede international bigeye conservation objectives, whereby 1,000 mt per Territory or more would be authorized to be allocated to US fishermen through Amendment 7 specified fishing agreements. Support and advocate for the participation of the local tuna fleet, as well as all of the various fishing sectors, in discussions and local, national, regional and international meetings that may affect the American Samoa fishing industry. Request that the US Coast Guard maintain consistent inspection and enforcement actions for both land-based and at sea operations for the American Samoa fishing industry and report on the potential for improving the response time to distress and emergency calls initiated from vessels within American Samoa’s fishing fleet. Support the resolution of local laws supporting the prohibition of shark finning to mirror federal regulations that allow the capture and landing of the whole shark. Select the annual catch limit equal to the acceptable biological catch at 106,000 pounds for the territory bottomfish fishery in the 2016 and 2017 fishing years with a corresponding probability of overfishing of 22.9 percent and 37 percent, respectively. Recommend that the American Samoa Government allocate the money necessary to fix the alia vessels preferably in Manu`a to be seaworthy for fishing from the disaster relief fund. Request NMFS expedite its economic analysis on impacts of the US rules on purse seine effort limits. Support the evaluation of the effectiveness of marine managed areas in American Samoa. The Council will consider the recommendations of its advisory committees and standing committees, which meet today in Utulei, when it convenes Oct. 21 and 22 at the Lee Auditorium. For more on these Council meetings, go to www.wpcouncil.org, email info@wpcouncil.org or phone (808) 522-8220. The Council was established by Congress under the Magnuson-Stevens Fishery Conservation and Management Act in 1976 to manage domestic fisheries operating seaward of State waters around Hawai`i, American Samoa, Guam, the Commonwealth of the Northern Mariana Islands and the US Pacific Island Remote Island Areas. Recommendations by the Council are transmitted to the Secretary of Commerce for final approval.